The USATF Indoor Senior Championships are coming to Ocean Breeze this year, and there is no better place for a National Indoor Championship than the Northeast. While the Pro's will be center stage, some prep athletes have hit that magic "A"-Standard, and could find themselves on the starting line. If they've got the Team USA eligibility, they can apply online once they've hit that "A"-Standard. In addition, if you find yourself close to a standard, you can enter as well, to be put on a waiting list. If the field size requirements aren't met, they'll go down the list bringing in the "next best." 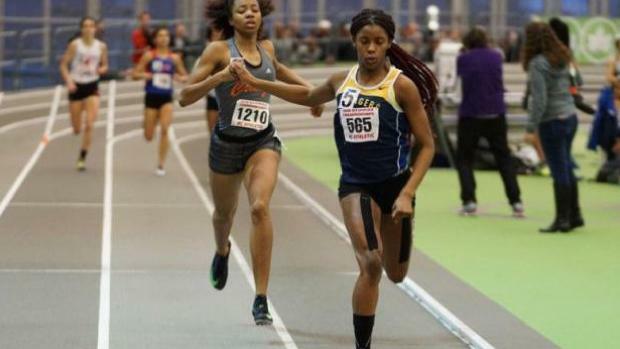 We've compiled a list of all the High Schoolers currently at or under a Standard. Could we see them on the line Feb 22nd through the 24th? It's up to them to enter!